There's really only one thing that I didn't like about this book. It had nothing to do with the story, characters, or even the cover design—it was the particular review blurb they chose to highlight on the front cover. It says "Fans of Elizabeth Gilbert's EAT PRAY LOVE will flock to this novel." Well guess what? I was not a fan of EPL (the novel...the movie was just okay for me), so had I seen that before I read it, I may have cracked the cover a little less enthusiastically. Fortunately, I had an ARC, so I wasn't influenced by that little sentence, as innocuous as it may seem. I thoroughly enjoyed everything about the book itself, though. I will admit that it is similar to EPL in that it deals with loss and heartbreak while transporting us to three beautiful locations through food and travel. But I enjoyed Brown's voice so much more than Gilbert's. Raw, emotional, and visceral, it wrenched my heart and filled my eyes with tears, and even made me chuckle out loud a few times. From Chicago to Thailand to Italy to Hawaii...and back to Chicago again, this was a journey that I enjoyed taking. Growing up so close to Chicago, I could easily slide myself into the story and fold myself into Tegan and Gabe's luggage as they experienced loss, pain, grief, possibility, and love in this story about survival. Without giving any spoilers, I'll tell you that there's also a twist that you may or may not see coming. 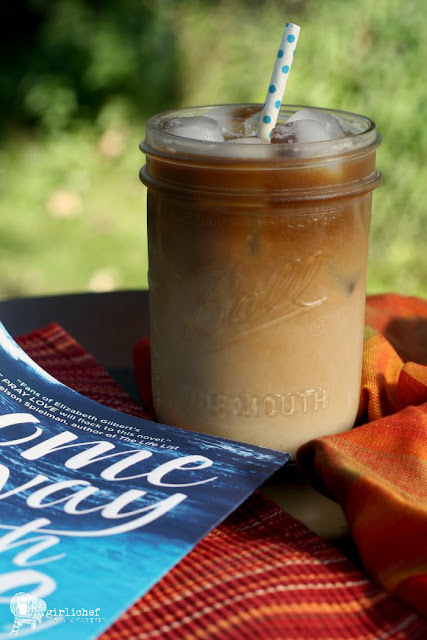 With its vivid locations and bounty of food, Come Away With Me would fit comfortably on any traveler's and/or foodie's bookshelf. Although narrowing down what I would make inspired by the book was sort of hard...it actually wasn't. From Tegan's first sip of Thai iced coffee, I knew what I'd be making. Thai iced coffee has been on my to-try list for quite some time now. I'm not sure why I hadn't tried it before now, but I figured this would be the perfect excuse. 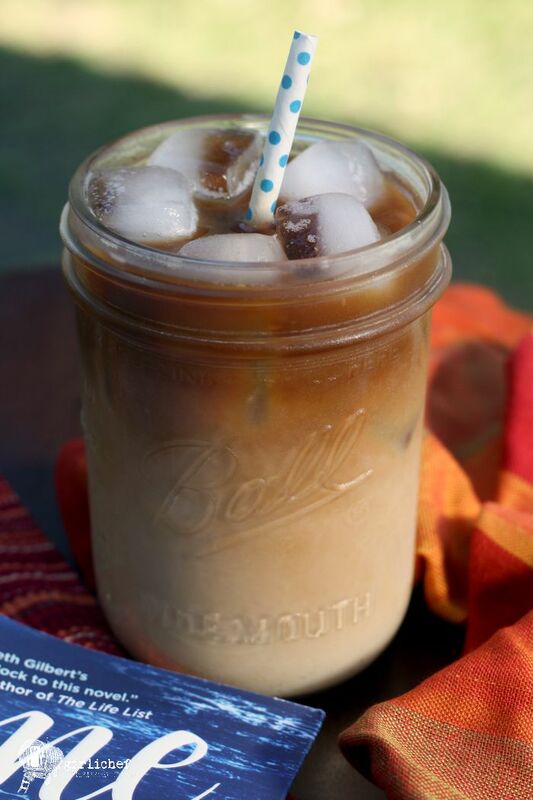 Most recipes I found are basically the same—strong coffee and sweetened condensed milk over ice. But this recipe from Steamy Kitchen infuses the coffee with cardamom and some almond extract, which I thought echoed the description of Tegan's experience, so I brought those flavors to mine, as well. I'm so glad I did, because one sip and I could totally understand the allure. 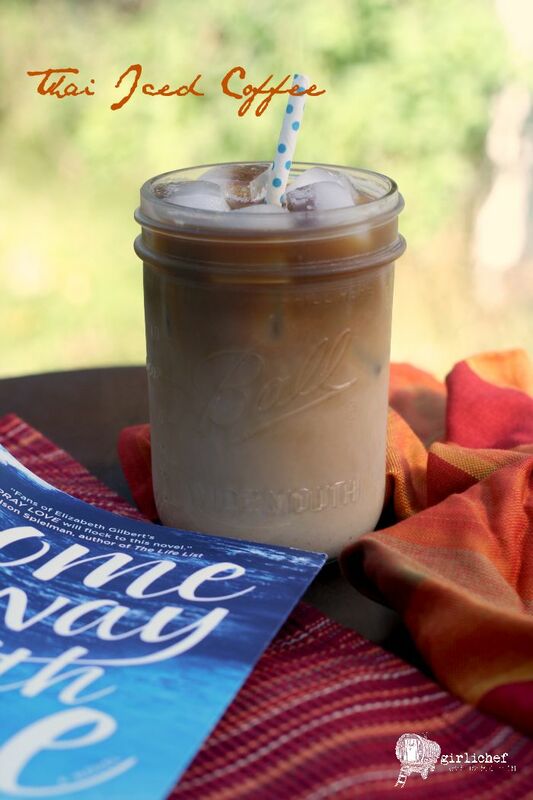 So, grab a copy of Come Away With Me, make yourself a tall, cold glass of this Thai iced coffee, and then kick back and enjoy the ride. 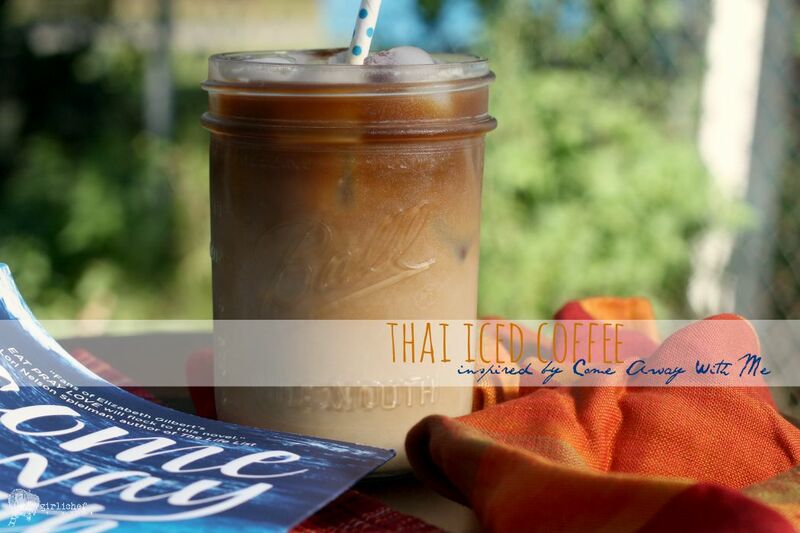 Thai Iced Coffee is a sweet, cold beverage that is fragrant with spice and rich with condensed milk. Brew coffee with 2 cups water in your coffee machine to produce 2 cups very strong coffee. Pour into a jar; refrigerate until cold. Combine milks, almond extract, and cardamom together in a small jar (1/2 pint measure works well) and screw on the lid; shake until well combined and then refrigerate until cold. You could also stir everything together in a small bowl. When you are ready to serve, fill 2 tall glasses with ice and divide coffee between the two glasses. Divide the milk mixture evenly over that. Serve immediately. "foodie" read: Yes, I'd say so. 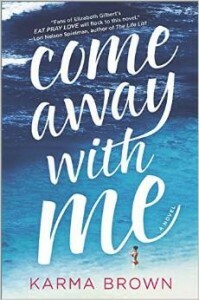 teaser: A heartbreaking and emotional story of love and loss, COME AWAY WITH ME is one woman’s discovery that life is still worth living, even if it’s not the life you planned. 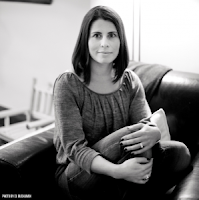 about the author: Karma Brown is a National Magazine Award winning freelance writer and journalist, and a member of the Professional Writers Association of Canada. She lives just outside Toronto with her family and writes powerfully emotional upmarket women’s fiction, in the vein of Me Before You. COME AWAY WITH ME is her first novel.